President Obama spoke Thursday night to the Democratic Party convention. Jobs, of course, was at the center of the speech. He says the prescription he has, or the solution he has, will rely to a large extent on exportâ€”reviving American manufacturing and exporting those goods. Here’s a little bit of what he had to say. BARACK OBAMA, U.S. PRESIDENT: We can help big factories and small businesses double their exports. And if we choose this path, we can create a million new manufacturing jobs in the next four years. You can make that happen. You can choose that future. JAY: Well, Friday morning, jobs numbers came out, and I expect PresidentÂ Obama and a lot of unemployed people were rather disappointed. Now joining us to talk about all of this is Bob Pollin. Bob is the founder and codirector of the PERI institute in Amherst, Massachusetts. Thanks for joining us, Bob. 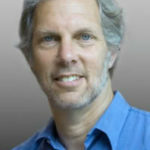 ROBERT POLLIN, CODIRECTOR, POLITICAL ECONOMY RESEARCH INSTITUTE: Very glad to be on, Paul. 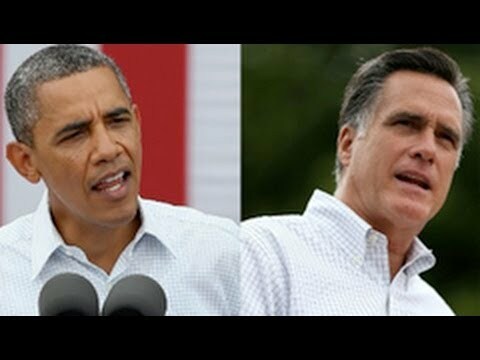 JAY: So, first of all, there’s two ways to talk about PresidentÂ Obama and the Democratic Party. One’s in relationship to the Republican Party, and then in relationship to whether those policies are actually going to be effective in solving the unemployment problem. So why don’t we quickly talk about it in terms of relationship to the Republican Party, and then we can go and kind of dig into what the policies really mean. POLLIN: Well, in relationship to the Republican Party, that certainly is the Democrats’ and Obama in particular’s strong suit, because the Republican Party are, you know, absolute disaster in terms of job creation. I think that Obama characterized them pretty accurately last night in his speech when he said their prescription for everything is tax cuts for the rich. I mean, that has been true for a long time and it remains true, and despite the fact that there’s no evidence that tax cuts for the rich are going to increase employment. I mean, as it is, the rich are getting richer. The rich are, over the recoveryâ€”the quote "recovery"â€”since 2007, the rich have gotten over 90Â percent of the income gains. That has not led to an overall recovery in employment. So how many more times do we have to be obsequious at the feet of the rich before we start to see them generating jobs? That’s not the solution. So, yes, relative to the Republicans, the Democrats and Obama look good. Relative to what’s needed now to create decent jobs for people in this economy, the Democrats continue to offer very little. The general approach that Obama has outlined before, outlined a year ago in his jobs proposal, the general approach is, okay, you know, the idea of investing in manufacturing, investing in the green economy (though that, the rhetoric around that has certainly been dramatically dampened down), supporting education, in terms of jobs in education, in addition to the long-term benefits, all of those things are good. What he doesn’t do is talk about how you actually get there, the magnitude of what’s getâ€”of what it’ll take to get there. Quite the contrary, he talks about these initiatives around jobs at the same time as he basically is saying, well, yes, we are going to support this big deficit reduction proposal, the Simpsonâ€“Bowles bipartisan proposal, we’re going to get somewhere close to that, and that in turn is going to mean big cuts in social spending and is not going to stimulate the economy. It is going to impose austerity on state and local governments where we are seeing jobs still being lostâ€”no job increases whatsoever. So they don’t really have a jobs plan that is commensurate with the needs of the time. JAY: I thought there’s also something. If you kind of pry away some of the rhetoric around General Motors, I thought it was a little disturbing, actually. If General Motors and how it was saved is the model for the restoration of American manufacturing, and American exports will be then increased based on that model, well, the essence of that model was lowering the wages of the workers, shifting a lot of the health care costs onto the union, and particularly this two-tier wage system where, you know, new workers are making $14 an hour, sometimes even lessâ€”I’m told they’re even making $13 an hourâ€”when they used to be making in the high $20’s, which means demand, workers’ ability to buy stuff, goes down. So maybe you’ll export more, but in terms of any real strength in any of the domestic market, we don’t see that, and President Obama doesn’t talk about that. All we hear is General Motors has a great victory. POLLIN: Well, there’s a couple of points there, important points that you’re making, Paul. Number one, on the overall point around exports, in order for us to export more, there have to be other countries that want to buy more. Now, who are those other countries going to be? Europe is in a total disaster, worse than the United States. We don’t have a plan for reviving the European economy. In fact, to date we are still mired in an austerity agenda throughout Europe led by Germany. And the latest data from Germany is that Germany itself is now heading towards recession, which had not been the case. Germany had been pulling the rest of Europe. To the extent Europe is not in a total severe recession, it’s only due to Germany, and now Germany is itself heading into recession. So Germany and the rest of Europe is not about to expand its exports, imports coming from the United States, exports. China, the Chinese economy is slowing down. The Indian economy is slowing down. So those are the three nodes of economic growth in the world economy that have been operating over the course ofâ€”since the recession, Germany, China, India. They’re all slowing down. The rest of Europe is in the tank. So I don’t know where this demand for U.S. exports is going to come from, number one. Okay, on your point with respect to the auto industry, you’re absolutely right. The solution that Obama established to save General Motors and the auto industry imposed this two-tier wage system that had already been developing, such that younger workers are working at, as you said, much lower wages, $14 an hour as opposed to $22. That has had very serious negative consequences, as you suggest. One of the important negative consequences is that in the lower tier now, in the lower tier within the auto industry, you’re getting to the point at which these workers are not making all that much more than minimum wage workers, if we were to establish something close to a decent minimum wage like $10 an hour, which is in part one of the reasons I think that the labor movement has not gotten strongly behind a higher minimum wage, because then that is going to contradict the very idea of this two-tier system that they have accepted. So the two-tier system for manufacturing for the auto industry is upending all the kind of basic wage standards that we have had in the economy. And that’s why what we’re also seeingâ€”even the jobs that are getting created are tending to force down the average level of wages. They’re jobs in the service industry, restaurants, hotels; they’re jobs in real estate, in retail. No jobs in manufacturing, no jobs in the public sector, and the jobs that are in manufacturing are the ones that are getting forced down in wages. JAY: Now, in the speech, PresidentÂ Obama referenced Roosevelt in having sort of imaginative solutions. But Roosevelt created a big public works program financed by the government and not necessarilyâ€”and most of theâ€”if I understand it correctly, not through the private sector, through the public sector, directly. President Obama, since the beginning of his presidency, has been very wedded to the idea that everything more or less has to go through the private sector. And he still seems to be talking that way, even though the private sector on the whole doesn’t want to make those kinds of investments. POLLIN: Well, Roosevelt’sâ€”the picture of the New Deal through the 1930s was itself pretty spotty. We now have this rosy, of course, historical image where everything was perfect. Roosevelt was sputtering along. I mean, we got some growth from 1933, when Roosevelt first came in, to 1937, but then in 1937 we then reverted to something like an austerity agenda in the United States under Roosevelt itself. It reallyâ€”if truth be told, it really wasn’t until the U.S. undertook massive levels of deficit spending in the ’40s after Pearl Harbor, where deficit spending went up to about 25Â percent of the economy, that we got out of the Depression for good and the world got out of the Depression for good. I don’t know that we would need to get to 25Â percent of GDP in terms of government injection of spending, but we need something on a major order of magnitude of, number one, increase government spending to defend the social sector, state and local spending on health and education, and to put money into people’s pockets. That is the way through which we then energize the small business sector, which is right now starved for credit and is not growing. So without that, it isâ€”we are not going to see anything like the kind of recovery that we think about in terms of a New Deal. JAY: So on the whole, then, while you’re saying the Republicans will be a disaster, the message from the Democratic Party, which is we’re on the right path, we just needâ€”give us more time to complete the journey, you don’t think this is the right path. POLLIN: I think there are areas that the Democrats emphasize which are positive. You know, just the mere fact of talking about supporting manufacturing, well, to me that implies industrial policy. Now, that may not be what Obama had in mind, it may not be what’s going to pass through Congress, but, you know, if you think about it for a second, there’s no way to support a manufacturing sector in this country and putting emphasis on that without undertaking a serious industrial policy. As you and I have talked about before, that’s absolutely crucial. Similarly, on the green economy, you know, the words are spoken, there is some support, there are important things that have been done. Is it enough? Absolutely not. Moreover, in his speech last night, Obama took a turn in favor of so-called clean coal and natural gas. Those are not clean energy sources. So if we are really serious about supporting the environment, we can’t go to coal, we can’t go to natural gas. We do have to invest in efficiency and we have to invest in renewables. And those are the things Obama did talk about, but he put more emphasis on these other things because that’s where the politics has shifted. The Republicans have been relentless on this, you know, drill, drill, drill, let’s not hold back our huge energy resources, and all this environmental stuff is a bunch of garbage. Well, the Democrats, of course, don’t go as far as the Republicans, but they are being influenced by that into the wrong direction. JAY: Alright. Thanks very much for joining us, Bob. POLLIN: Okay. Thanks for having me, Paul.